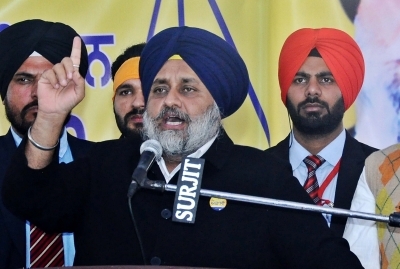 The opposition Shiromani Akali Dal (SAD) on Sunday sought to corner Punjab Finance Minister Manpreet Badal on his alleged failure to get GST exemption on purchases made by the SGPC for ‘langar’ or community kitchens in gurdwaras. In a statement here, party MP and spokesman Prem Singh Chandumajra said it was mystifying as to why Manpreet Badal “had not taken up this issue” at the Goods and Services Tax Council meeting as promised by him and why he had failed to explain and win this concession. Chandumajra said that before leaving for the GST meeting in New Delhi on Saturday, the Minister had told the media that he would take up this issue and ensure it was resolved to the satisfaction of all. “However, even as other states have won reprieve for their stakeholders by getting GST rates lowered for several items, Manpreet Badal failed to get this sensitive issue debated and resolved at the council meeting,” the Akali Dal leader said. He pointed out that all purchases like sugar, ghee, dry milk, and pulses were exempt from Value Added Tax, which has been replaced by GST, during the earlier SAD-BJP government in the state. Chandumajra said that by not getting the issue resolved in favour of Punjab, the Minister had disobeyed the directive and line taken by Chief Minister Amarinder Singh. 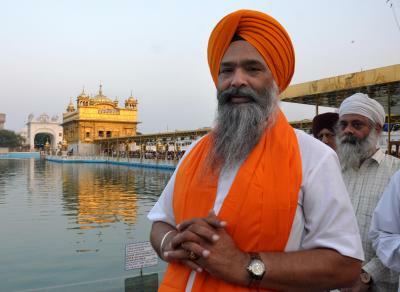 “The Chief Minister has written to the Union Finance Minister and sought this exemption for the Shirmani Gurdwara Parbandhak Committee (SGPC). Manpreet Badal was duty-bound to take follow-up action and get the issue resolved. Now, it is up to the Chief Minister to decide as to what action should be taken against the Minister for this willful disobedience,” he added. The SGPC, which manages Sikh shrines in Punjab and runs free community kitchens for lakhs of people on a daily basis, has made its displeasure known on the imposition of GST on ‘langar’ items/provisions. SGPC president Kirpal Singh Badungar had written to the GST Council and Union Finance Minister Arun Jaitley to exempt such items from GST. He said GST will put an additional tax burden of nearly Rs 10 crore on the SGPC. The GST system does not give any exemption to religious bodies for purchases. Ghee, sugar and pulses have been put under the 12, 18 and five per cent GST slabs, respectively. Even cooking gas is taxed under GST.